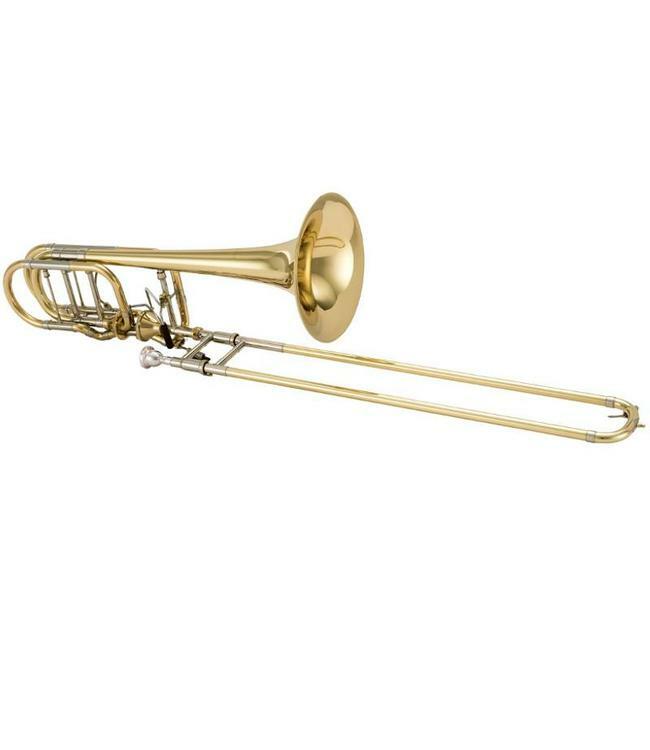 The Bach 50AF3 bass trombone features a dual valve, independent system. The dual “Infinity” valves offer a very open feel, but eliminate the metal to metal contact found in other axial-flow designs. The one piece hand hammered 9 -1/2” bell has defined the symphonic sound for generations. The .562 large bore combined with the traditional F/Gb attachments offers the performer a very versatile experience.